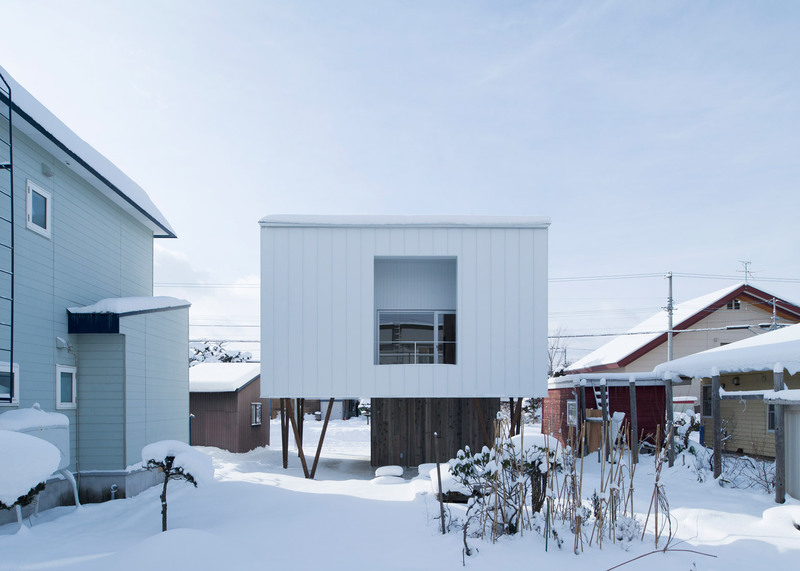 A large white box is raised on stilts to create the upper floor of this house in Japan, sheltering a smaller ground floor and entrance from the heavy snowfalls that Hokkaido Prefecture experiences in winter (+ slideshow). 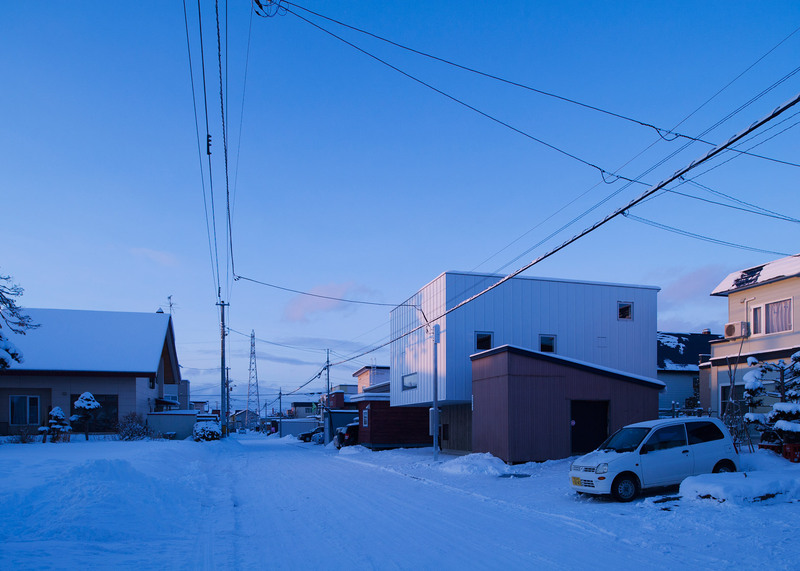 The house shares a plot with the client's parents' house in a residential neighbourhood of Asahikawa and was designed by Japanese studio Archi LAB. The placement of the house near a road at the south end of the plot creates a large shared garden between the two residences. The city experiences snowy winters, with just under eight metres falling each year. Large-scale ice and snow sculptures are created during the annual winter festival, where musicians perform on a stage made from snow. 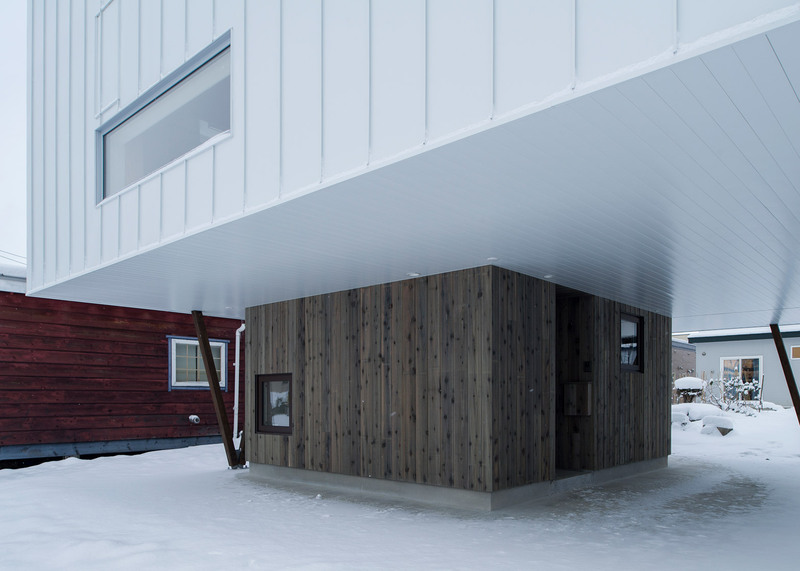 To create a snow-free perimeter around the entrance, the architects raised the upper storey of the house, named CYIN, off the ground on V-shaped pilotti. 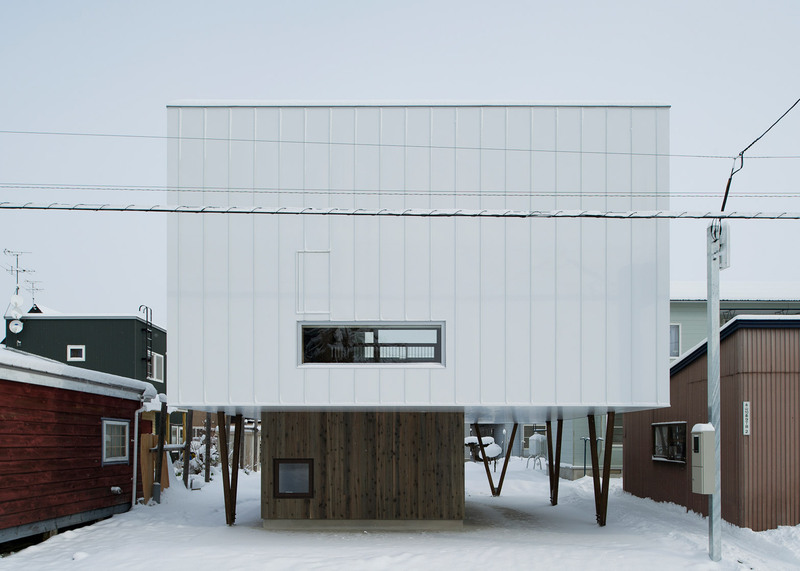 This large volume overhangs a smaller timber-clad base, forming a huge canopy. "The design brief called for an effective architectural solution that not only incorporates a good snow management system but also one that is able to minimise heat build up in summer, and reduce the pressure on heaters in winter," explained the architects. 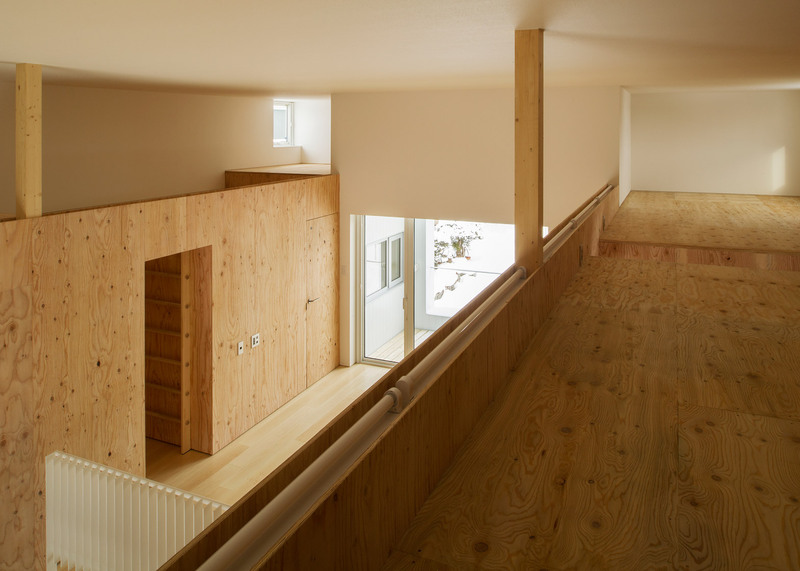 "Supported on pilotis, the upper level of the two-storey house rests lightly over its smaller base," they added. "This strategy minimises snow accumulation and creates a nice winter street garden on the ground level." 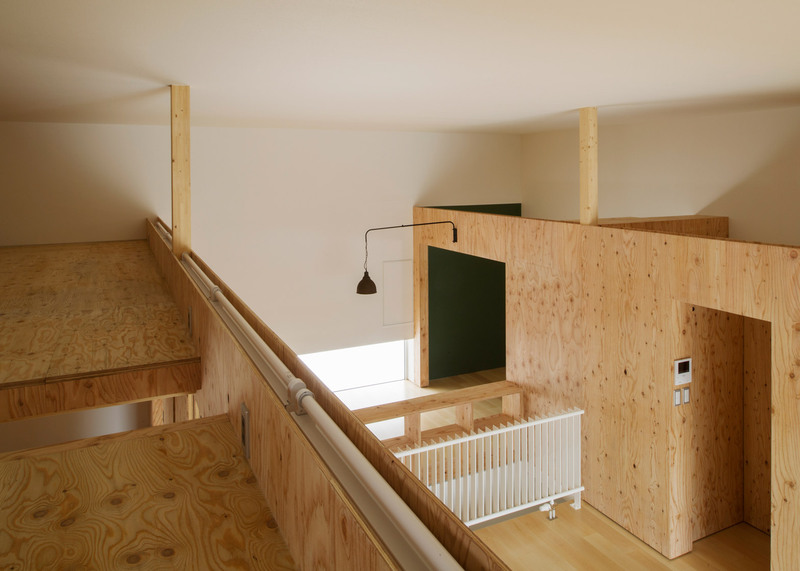 The building's base contains a hobby room and entrance hall, while two bedrooms, an open-plan living space and a sheltered balcony are set on the upper floor. 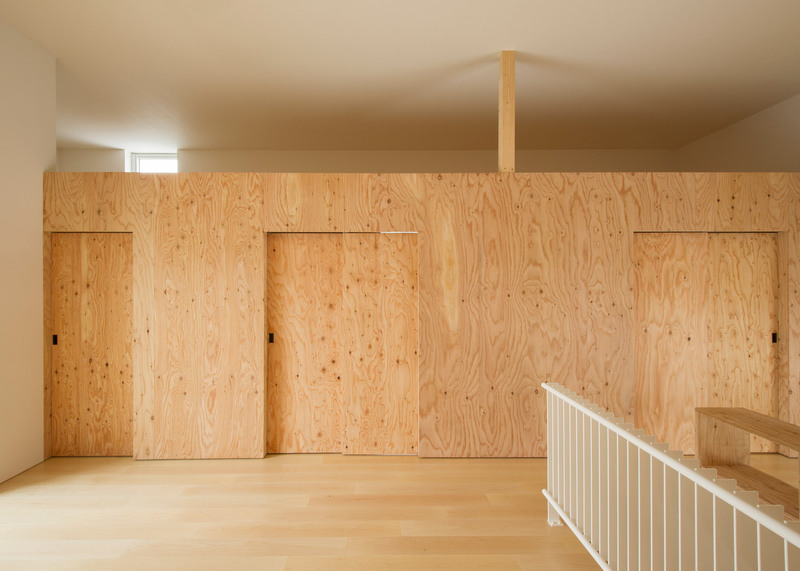 Wooden partitions with sliding doors define rooms, while storage cabinets are made from matching timber. 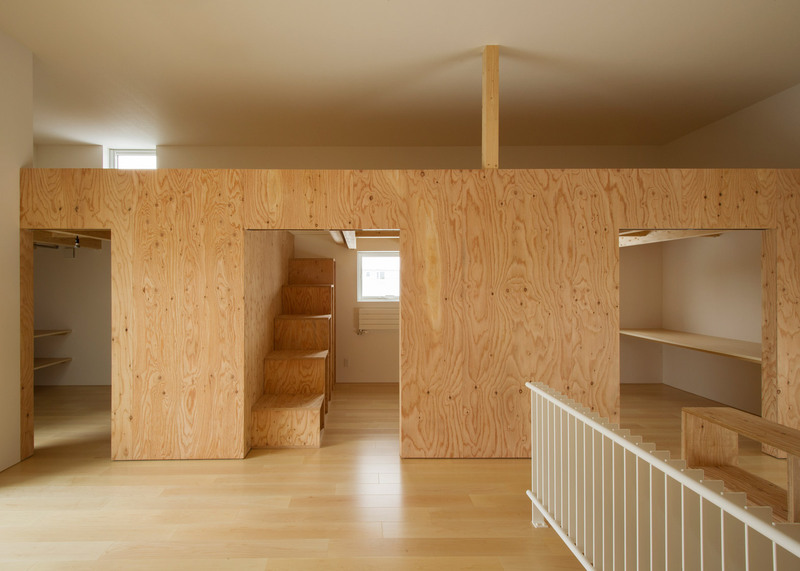 A set of storage blocks double as a flight of stairs to a pair of mezzanines over the two bedrooms. The open-plan living space features a large window to the south and a terrace to the north. These are positioned to maximise ventilation and natural light, while avoiding direct sunlight from the east and west to maintain a cool temperature in summer. Photography is by Kei Furuse.